Out of Africa? or Out of Israel? December 28, 2010 -- A handout photo made available by Tel Aviv University spokesperson office shows the Qesem Cave near Rosh Haayin, in central Israel, where human teeth were found. According to Researchers from Tel Aviv University they have uncovered finds that indicate the existence of modern man (Homo sapiens) in Israel as early as about 400,000 years ago. 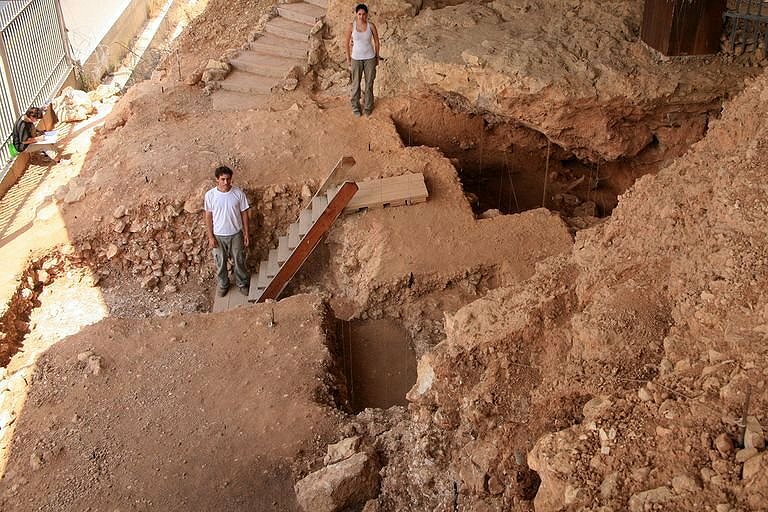 Israeli archaeologists have discovered human remains dating from 400,000 years ago, challenging conventional wisdom that Homo sapiens originated in Africa, the leader of excavations in Israel said on Tuesday. 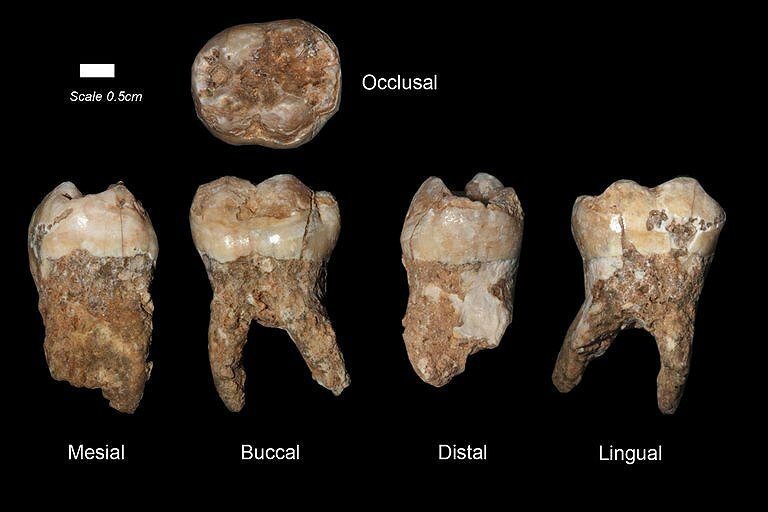 Avi Gopher, of Tel Aviv University's Institute of Archaeology, said testing of stalagmites, stalactites and other material found in a cave east of Tel Aviv indicates that eight teeth uncovered there could be the earliest traces so far of our species. "Our cave was used for a period of about 250,000 years -- from about 400,000 years ago to about 200,000 years ago," he told AFP. "The teeth are scattered through the layers of the cave, some in the deeper part, that is to say from 400,000 years and through all kinds of other layers that can be up to 200,000 years. The oldest are 400,000 years old", he added." A handout photo made available by the Tel Aviv University shows human teeth found in the Qesem Cave near Rosh Haayin, in central Israel. According to researchers from Tel Aviv University they have uncovered finds that indicate the existence of modern man (Homo sapiens) in Israel as early as about 400,000 years ago. That calls into question the widely held view that Africa was the birthplace of modern man, said Gopher, who headed the dig at Qesem Cave. "It is accepted at the moment that the earliest Homo sapiens that we know is in east Africa and is 200,000 years old, or a little less. We don't know of anywhere else where anyone claims to have an earlier Homo sapiens," he said. Gopher said the first teeth were discovered in 2006 but he and his team waited until they had several samples, then conducted years of testing, using a variety of dating methods, before publishing their findings. Digging continues at the cave, the university said, with researchers hoping to "uncover additional finds that will enable them to confirm the findings published up to now and to enhance our understanding of the evolution of mankind, and especially the appearance of modern man."